As decision makers clamor for access to data, many business intelligence projects are implemented with limited IT involvement and governance. This results in data privacy and security breaches in addition to inconsistent or incomplete use of data. To counter these adverse effects, Gartner predicts a return to governed enterprise BI solutions. 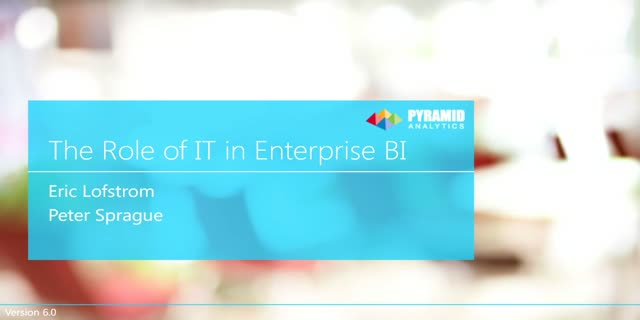 In this session we will address the differences between IT-Enabled and IT-Governed business intelligence platforms. We will also consider the need for a governed self-service analytics platform and how organizations can achieve that goal.